Originally posted on the Better Business Bureau’s website. Click here to view the press release. The annual Torch Awards for Ethics program is open to all for-profit companies (BBB accredited and non-accredited) that are located in the 28 county service area of Western Pennsylvania and meet the guidelines. Companies are evaluated against criteria that includes leadership commitment to ethical practices, communication of ethical practices, leadership practices to unify the organization and organizational commitment to performance management practices, ethical human resource practices and the community. In 1977, Dr. Joseph “Brad” Bradley founded Bradley Physical Therapy Clinic. In 2016, the business was passed on to two of his sons who have been involved in the practice for years, Dr. David Bradley, DPT and Dr. Darren Bradley, DPT, where they continue the legacy that their father started. The goal of Bradley Physical Therapy Clinic’s staff is to facilitate healing and to restore efficient movement and comfort as quickly as possible. This is accomplished through leading edge equipment, proven ‘hands on’ techniques, one-on-one therapy, personalized orthopedic and sports rehabilitation programs, clinical expertise and genuine care for patients’ well being. Bradley Physical Therapy Clinic stands out as a leading facility in orthopedic and sports rehabilitation and currently has two locations: Washington (1977) and Canonsburg/Southpointe (2003). 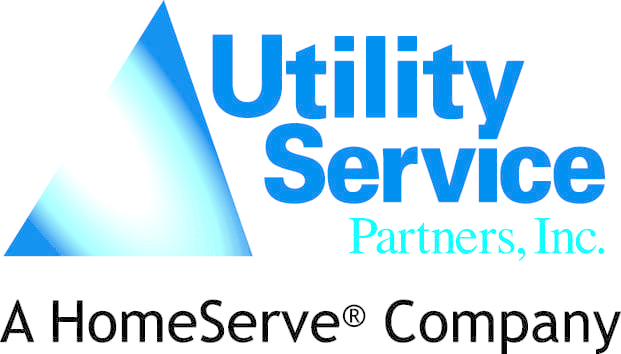 Service Line Warranties of America (SLWA) is part of HomeServe USA Corp (HomeServe), a leading provider of home repair solutions serving over 3.6 million customers across the U.S. and Canada. Founded in 2003, SLWA is the trusted source of utility line protection programs endorsed by the National League of Cities (NLC). SLWA’s mission in working with the NLC is to partner with cities and towns to educate their residents about water and sewer service line responsibilities and to provide a solution that helps homeowners avoid the cost and inconvenience of service line repairs or replacements. The SLWA program also generates an ongoing, sustainable source of income for municipalities and stimulates the local economy by using fully vetted local contractors to complete the repairs. NET Xperts LLC has the expertise to design and implement technological systems that meet the needs of small to mid-sized businesses. Whether in need of managed services, computer networking, cloud services or cybersecurity, they are experienced, certified professionals that can help develop technology business plans to meet any strategic business goal. NET Xperts not only provides expert installation and service, but they are dedicated to developing long-lasting, professional relationships with clients. At NET Xperts LLC, they take the necessary steps to be certain that all customers’ technological needs are met and business goals are realized. Shannon Staley and Sons is a business to business, on demand, construction support service company. The company employs its own craftsman and chooses to recognize its employees as the highest stakeholders in the company. The mission of Shannon Staley and Sons is to listen to its customers, provide the utmost value and to deliver that value through superior construction services. They strive to be dedicated to a balance that reflects the Golden Rule in all decisions as a company and as individuals. Faith Bjalobok Ph.D. holds a masters degree in Criminology and a masters degree and Ph.D. in philosophy. Her area of interest is applied ethics. She is an assistant professor of Philosophy at Duquesne University. Faith is also a Fellow at the Oxford Centre for Animal Ethics and the founder of the Fluffyjean Fund for Felines. Akwasi Opoku-Dakwa is an assistant professor of management at Duquesne University whose research focuses on factors that shape the meaning that employees make of their work, and the effects of these meanings on workplace motivation, attitudes and behaviors (including ethical behavior). He is a member of the Social Issues in Management (SIM) division of the Academy of Management, and a member of the Society of Industrial & Organizational Psychology. Jim Weber (Ph. D. in Business, University of Pittsburgh and M.B.A., Saint Louis University) is currently a Professor of Business Ethics and Management and Managing Director of the Institute for Ethics in Business at Duquesne University. Weber is involved in developing ethics training seminars for business and community organizations and forums for discussions of critical ethical issues in business. He has been published in numerous academic journals and is the co-author of 16th edition of Business and Society: Stakeholders, Ethics, Public Policy, published by McGraw-Hill/Irwin, Inc. This year’s winners of the Better Business Bureau of Western PA’s Torch Awards for Ethics are now eligible for entry in the BBB International Torch Award for Ethics. Entrants for this award must be designated winners of their local BBB Torch Awards program. Visit bbb.org to nominate a local company for the 2019 Torch Awards for Ethics.